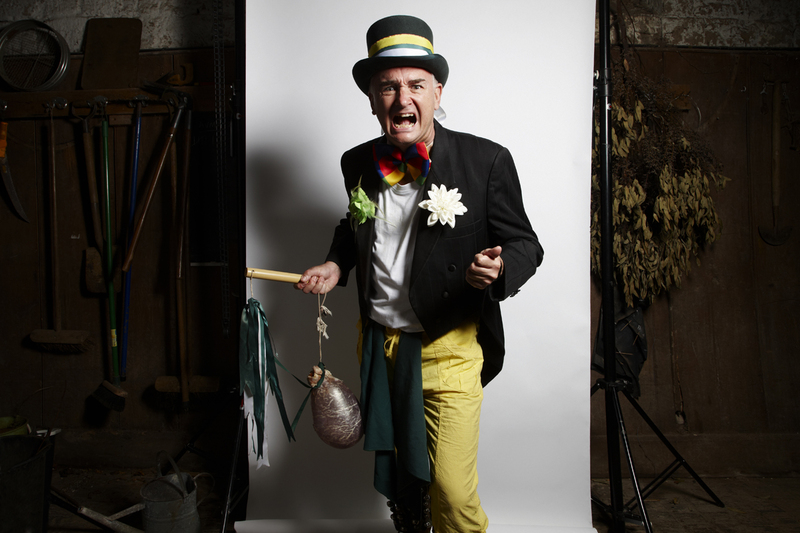 Morris dancing has been part of English life for at least 600 years and perhaps even longer. Its exact origins are unknown though some believe that it was brought back to England by the Crusaders who had seen it danced by the Moors’ hence the term ‘Moorish’ or Morris dancing. The style of dancing is particular to England but there are some similarities with Basque and Catalan dancing in Spain and the male traditional dances of some parts of North Africa. All these traditions involve dancing with bells attached to the shins, costumes which are predominantly white and the use of sticks or handkerchiefs. Research has revealed that Morris was a part of the Court entertainment during the early 16th century during the reign of Henry VIII. From here it seems to have spread out into the countryside and developed links with pagan rituals that sought to encourage the growing of crops. Morris was traditionally danced at Whitsuntide and became linked to village festivities and church ales. This usually involved a set of six dancers accompanied by a musician playing the pipe and tabor (later the fiddle) and the dancers often assumed traditional character roles to entertain the audience. These characters included the ‘fool’ (linked to the court jester perhaps?) and various animals often a hobby horse and Adderbury Village Morris Men (AVMM) are usually accompanied by both. It is thought that the elaborate costumes worn my Morris dancers were associated with fertility rites and some folklore points to the use of bells to ward off evil spirits. Even today, most Morris sides wear bells on their shins. In addition to the bells, crossed ribbons are usually worn and these are known as baldrics. To complete the attire, hats are often worn – either a bowler or a top hat as worn by AVMM. Different areas of the country developed their own variant of Morris dancing and by the nineteenth century, many villages in the Cotswolds were performing a version of Morris dancing now known as ‘Cotswold Morris’. 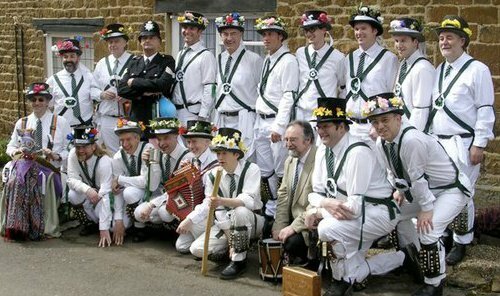 Like many other villages in Oxfordshire, Adderbury had a thriving Morris tradition. At one time there were at least three separate sides and they danced in Adderbury and the surrounding villages in Whit week. They also danced regularly at Banbury Fair. The well know Banbury eccentric William Castle (‘Old Mettle’) was born in Adderbury and acted as ‘fool’ to one of the Adderbury sides. By the end of the nineteenth century Morris dancing appears to have declined in popularity and the Adderbury side stopped dancing during the 1880s. Morris dancing continued though in a few villages in Oxfordshire (for example, Bampton, Headington Quarry and Abingdon) but they were very much the exception. The reduction in rural populations as people migrated from agricultural work to better paid jobs in towns and cities seems to have been a major factor in the decline of rural traditions like Morris dancing. 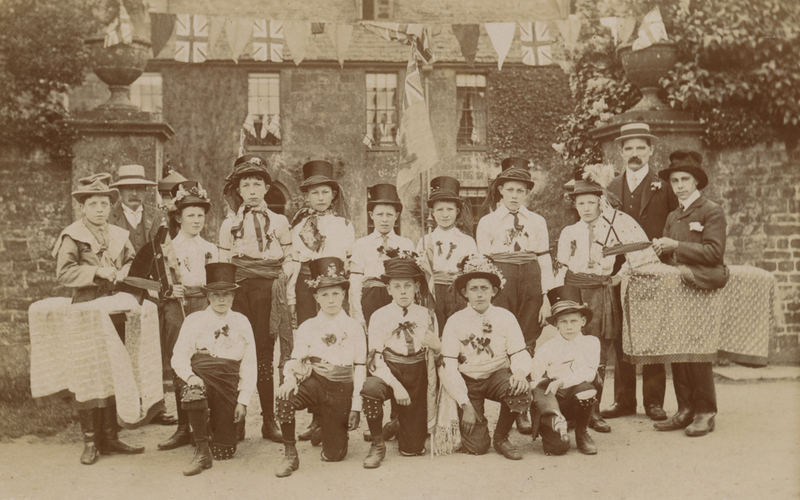 In the early part of the twentieth century a revival side was formed in Adderbury – apparently Morris dancing was taught in the village school and the side featured in the Empire Day celebrations in the village in 1908. Arising from this, a men’s side developed and continued to dance until the outbreak of the First World War in 1914. Most of the side left the village to join the armed forces and only one – Charlie Coleman returned to the village in 1918 and so the side never danced again. During the First World War, Janet Blunt, a village resident interested in folk traditions and apparently influenced by the folk archivist Cecil Sharp, began to note down the dances during conversations with two of the dancers from the old nineteenth century side (William and John Walton). Ms Blunt also introduced William Walton to Cecil Sharp who also documented the dances and tunes and later published them in his Morris book. During the Morris revival of the twentieth century, many sides began learning the Adderbury dances and some visited the village and performed the dances. Janet Blunt attempted on several occasions during the 1920s and 30s to revive the side in Adderbury without success. In April 1975, following a 12 month period of extensive research and practice, a group of dancers based in Adderbury began to perform the Morris dances of Adderbury again in the village. They danced all day and in every part of the village, performing all the dances collected by Cecil Sharp and Janet Blunt. Every year since then the revival is celebrated in the same way on what has become known as ‘the day of dance’- normally held on the last Saturday in April. It has grown in popularity over the years and is now one of the most important events in the village calendar. Since April 1976, there have been two male teams of traditional Morris dancers based in Adderbury who perform on the day of dance – joined more recently by a female side. Forty years on, some of the revival side dancers and musicians are still performing and every year are joined by enthusiastic younger dancers and musicians who share a determination to keep the tradition alive in Adderbury.